According to the Polish police, they recovered a Monet painting that was stolen from a museum in western Poland a decade ago. 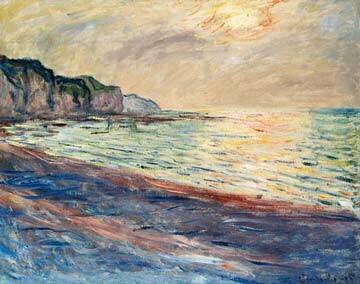 Poznan police spokesman Romuald Piecuch said today that officers detained a 41-year-old man in the southern city of Olkusz after the painting, Beach in Pourville , was found in his possession. Mr Piecuch says the suspect and the painting were being transported to Poznan. The picture was stolen in September 2000 from the National Museum in Poznan. It was valued at $1 million at the time. The thief cut the painting from its frame and replaced it with a copy painted on cardboard. Next Next post: What is the sin MoCA and Jeffrey Deitch have committed?